Have you ever come up with a great name for your website only to find out that it’s already taken? I am excited to announce that after a year of determination and cyber sleuthing I am finally the proud owner of the domain name Lifestoriesonline.com! Last summer, I had just finished my first online memoir, Mildred Patricia Keller, and wanted to start my business of doing the same for others. I had a logo designed (that’s a story for another day) and put together an ad for the Association of Personal Historians conference syllabus, but I still needed a name. I spent hours brainstorming names. I had list and lists of business names all over the house. My favorite by far was “Life Stories Online.” It seemed perfect because it is memorable and conveys the meaning of my business: helping people put their life stories online! A domain name is the web address or “url” associated with a website, such as lindabugbee.com. Domain names are usually purchased through a hosting provider or domain name registrar. Domain names must be renewed annually, typically for $10-15 per year. 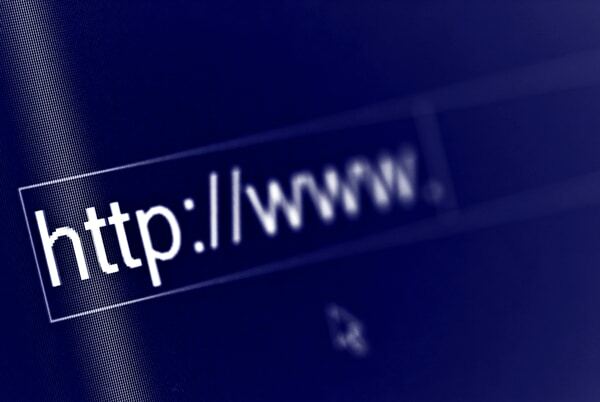 To have a website, you need both: a hosted website and a domain name to go with it. They do not have to be purchased through the same company, although they often are. I prefer to buy them from separate companies in case I ever want to change hosting providers. This indicates that the domain name is owned by someone but not actually being used. Next, I started looking for alternative names for my website. There are many places to research domain names, but my favorite is Hover.com, a domain registrar that is easy to use and doesn’t try to sell you stuff you don’t need or understand. Using Hover's Domain Name Searching Tool, I obsessively researched all variations of my name: my life story online, life stories online inc, your life story, etc. For a few days it consumed me. Not being able to get an exact match, I covered my bases by purchasing lifestoriesonline.org, lifestoriesonline.net, lifestoriesonline.co and lifestoriesonlineinc.com. The problem with settling for domain names that end in something other than “.com” is that many users will assume your domain ends with .com. 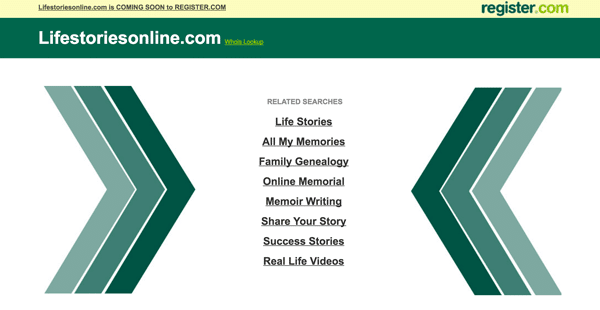 So if someone remembered my business name “Life Stories Online” and looked for it on the web, they may not think to check out the .org, .net and .co versions. If you want your website to look professional and be found easily, do everything you can to find a domain ending in .com. A common tactic to get the .com domain is to add “my” or “your” to the beginning of a business name, as in mylifestoriesonline.com or yourlifestoriesonline.com. I didn't like the sound of them either. Unsatisfied with all the available variations, I built my website using my own name, lindabugbee.com. Premium Domain Names are Expensive! I had no intention of paying that sort of money, so I did some detective work to find the owner of the domain. The easiest way to find who owns a particular domain name is to search on the ICANN WHOIS site. The ICANN site (https://whois.icann.org) provides all sorts of valuable information about a domain name, including its expiration date, the registrar company, and if you’re lucky, the contact information for the owner. Do you have your own name as a domain name yet? You really should! Yourname.com looks professional and if your business morphs into something else one day, you can still use it! If your name is common, like Nancy Smith, and NancySmith.com is not available, try getting a domain using your middle initial or even your full middle name, ie. NancyMSmith.com or NancyMarieSmith.com. Always go for the .com extension if you can! In the above example, I used the ICANN WHOIS site to research the domain name onlinememoirs.com. Here we see the domain name is owned by a company called BuyDomains.com. The registrar is Annulet, Inc. The domain is up for renewal on June 6, 2017. I went to BuyDomains.com and saw they want $2,288 for this name! Using the ICANN site, I found lifestoriesonline.com was owned by a company in New Jersey that buys up domain names to sell at exorbitant prices. After several emails, I finally found a sales representative. When we spoke on the phone (at her insistence) she said the price was $1300! When I told her I saw it on hover.com for $577, she said that was the absolute lowest price they would sell it for. She asked me to make an offer. I offered $300. Apparently, they won’t even consider such a paltry sum. She suggested I check back in 6 months. From the ICANN info, I also learned the name was up for renewal in June 2016. I put the date in my Google calendar and waited. As June approached, I was excited to see the date had not been extended. I eagerly anticipated the expiration date of June 14 hoping I could buy the name on that day. No such luck! Is your private information publically available on ICANN? If you don’t want your private address and phone number to be listed, contact your domain registrar (which is probably the same as your hosting provider) to see what privacy options they offer. I went to Register.com (another domain registration service) and tried to buy lifestoriesonline.com. Stymied again! As it turns out, if the owner hasn’t renewed by the renewal date, the domain name goes into a grace period. During this time the original owner still has the option to renew. At that point, Register.com referred me to their domain name auction house, Namejet. Apparently, domain registrars make a lot more money by auctioning off expired names rather than just letting them go. At Namejet I learned I could “backorder” my desired domain for free, but had to register and place a minimum bid of $69. $69 is way better than $577, so I placed my backorder and waited for the grace period to end at 10pm EST on July 18. 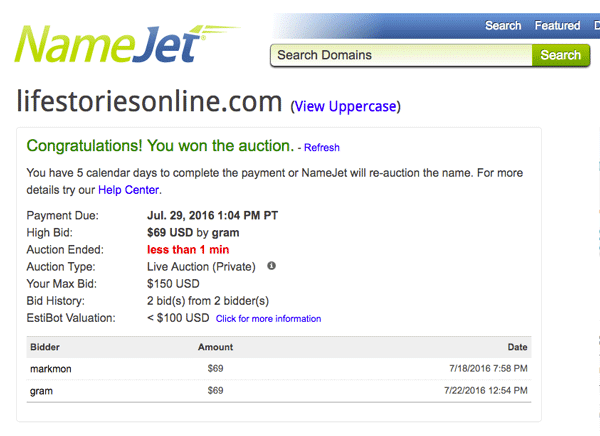 I kept checking back with Namejet and was glad to see no one had placed a bid. July 18 10pm EST came around and I thought I would be the proud owner of lifestoriesonline.com, but no! Of course there was yet another step! Since one other person had placed a backorder bid of $69, the name officially went to auction for 4 days. It was a nerve-wracking 4 days! Thankfully no one else ever bid, so by 4 pm Friday, I won the auction. Once my credit card was charged $69 I became the proud owner of lifestoriesonline.com! Research and perseverance finally paid off as I emerged victorious from the labyrinth of the domain name aftermarket! A domain name should be memorable, reveal some meaning about your business, and look professional. If you settled for a not quite perfect domain name for your business, it might be worthwhile for you to do some sleuthing of your own and pursue your dream name. Even if you already have an ideal domain name for your business, it’s still a good idea to get your own name as a domain name too. You can always use your personal name as a business website in the future. Secure your name as a domain name now so you have it when you are ready to write your online memoir! Would you like to know more about Online Memoirs? Sign up to get the latest news about online memoirs delivered right to your inbox. This is the best and most inspirational article I have ever read. Truly, it has changed my life!